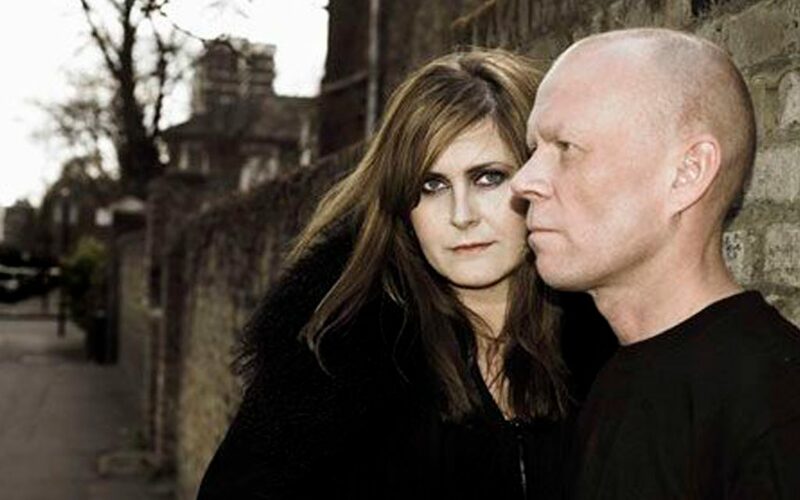 Yazoo: A Quarter of a century later, Mrs Alf & Mr Clarke are back in the touring business. 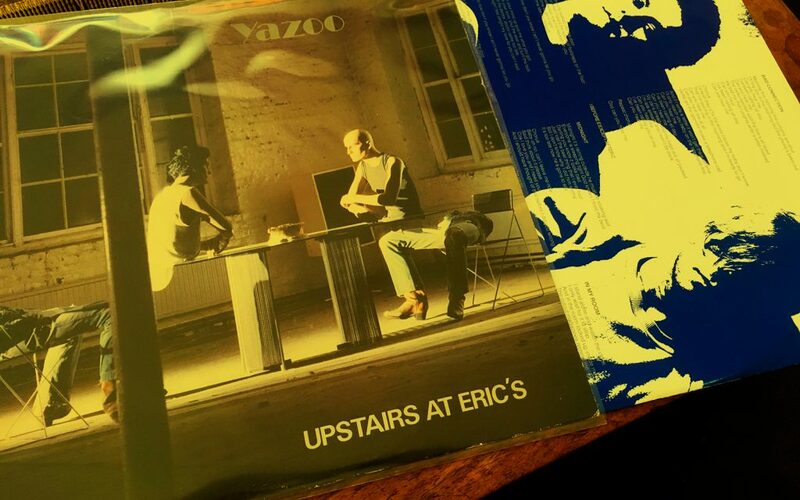 Most of us didn’t foresee a Yazoo reunion. How did it come about? There were discussions at the record company about whether this box-set might lead us to doing some shows. I had reservations, because myself and Alison only did one tour. It’s not as though we build up a huge live following. The reservations – which I still have – are really about no one turning up! I can’t image how some of the songs, apart from Only You and Don’t Go, will be recognisable to many people, but apparently lots of people bought the albums, and those were the days when you listened to albums from end to end! Were you reluctant to revisit something that is essentially a small part of your youth? A little, it’s very strange. 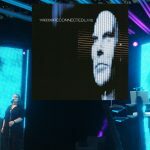 Perhaps if I was a singer I might have gone back to the songs – I think Alison has sung Only You since – but I haven’t heard most of the tracks in 25 years, though it’s been quite a pleasurable experience. I’m doing the programming and arrangements right now and I’d forgotten how simple they are – just going from C to F to G to Am is really exciting when you first go into a studio. There’s something great about such plain songs, ‘d find it very difficult to go back and write like that again now. 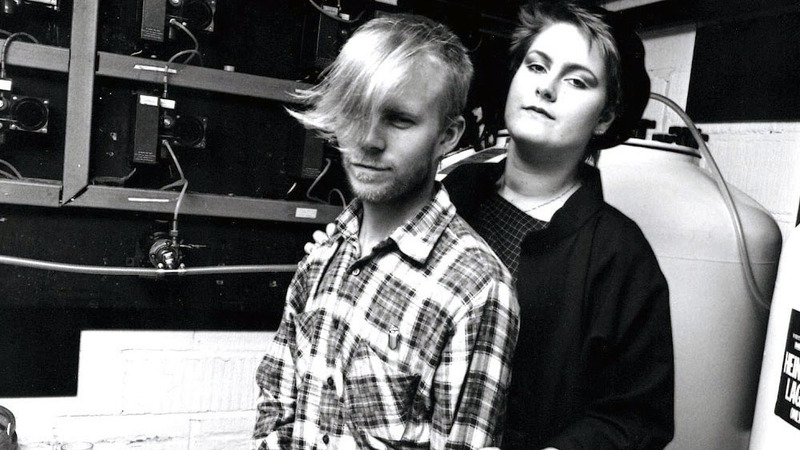 Why did Yazoo split up in 1983? We had such different personalities. We didn’t talk. We had problems working out what we were doing. I was a control freak. And we were only 21! Have you seen much of each other since? What will we see at the shows? It will be just the two of us, the same as before. Ninety-nine per cent of the music is programmed – I’ve only got one pair of hands! – but Alison can improvise and I can change things that aren’t working. We’ll play most of our two albums. I’d quite happily have a go at some of Alison’s later stuff, but there are no current plans to do that. I can tell you the stage set is based around the artwork of our first album, Upstairs at Eric’s. How did Andy Bell react to the reunion? Any slammed doors or smashed crockery? You sound a little apprehensive about the whole thing? I am! Touring puts quite a lot of pressure on, and I haven’t toured with Alison for a long time, so I’m more – not apprehensive, but nervous – than usual. We’ll soon see! 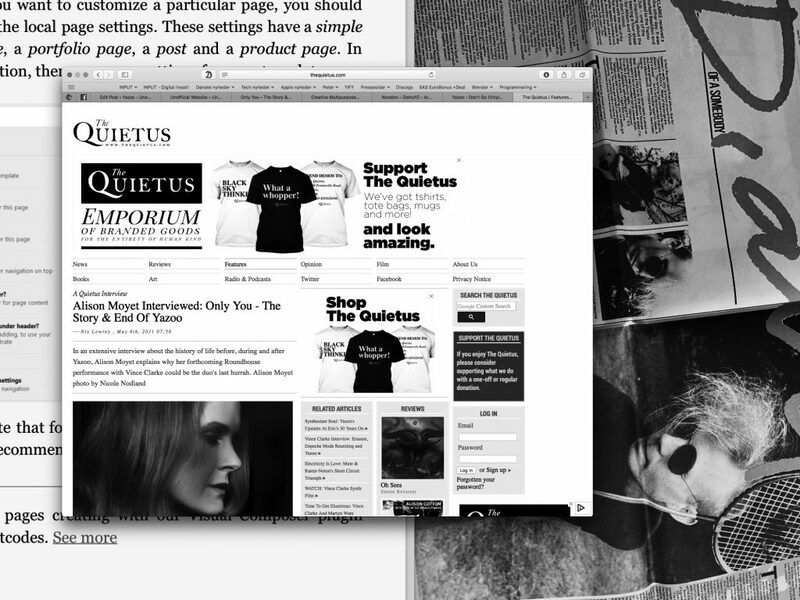 Originally printed in the May 2008 edition of The Word magazine.